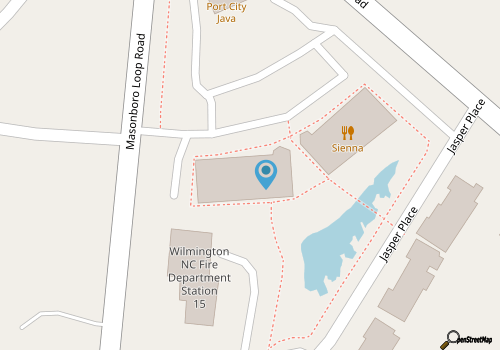 Authentic Italian dining in an inviting and casual setting is the everyday philosophy of Siena Italian Restaurant - a slightly elegant eatery that’s found in a quiet section of Wilmington along Masonboro Loop Road. With a welcoming interior, and outdoor patio seating in the warm weather months, Siena Italian Restaurant is a place to linger and feast on a bevy of fresh Italian dishes. Visitors will want to start with a glass of wine, cocktail, or beer from the extensive bar menu, and then move on to a not-so-light appetizer like the house made meatballs, the clams and mussels, or the Italian Antipasto Board which is large enough for a crowd. From there, patrons can satisfy a big appetite via Siena’s huge array of pastas, pizzas and entrees, which includes everything from the traditional to the slightly more creative. Pastas include decadent dishes like the beef short ribragu, the shrimp ravioli, and the Siena Risotto with grilled chicken, while pizza selections include fresh Margareta, Bianco (white pizza) and Florentine. The entrees are just as varied, with options including filet mignon, veal or chicken Marsala, and salmon piccata, and there’s also a host of desserts to top off a big Italian feast. From start to finish, Siena Italian Restaurant is able to cater to any sized craving for Italian food with style. Call (910) 794-3002 for current hours.